Situated on Golden Sands Kinmel Bay. 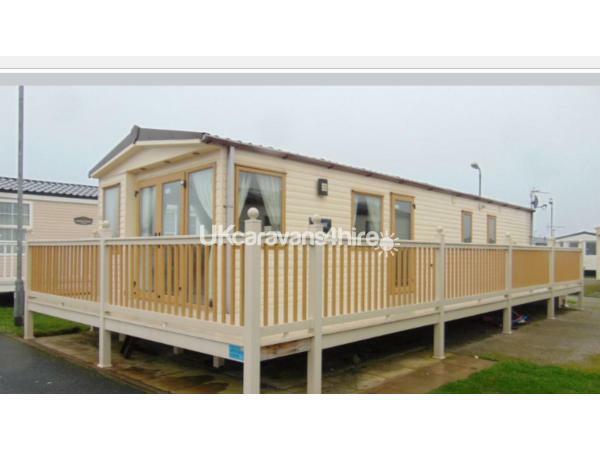 The caravan is gold rated, modern and has 3 bedrooms. The double bedroom has a 22" LCD TV with free-view. There are also two twin rooms. 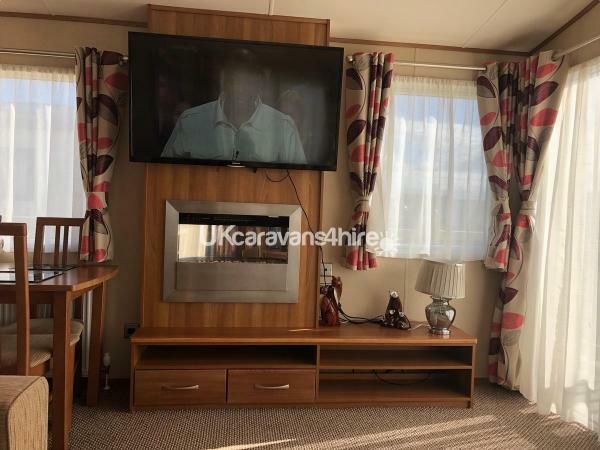 The living area is spacious, has a 32" TV DVD with free-view, and has a fitted large corner suite and also has a separate sitting area with a table and 4 chairs. The kitchen has an integrated fridge freezer and gas cooker. The Bathroom consists of a sink and large shower with a separate toilet. 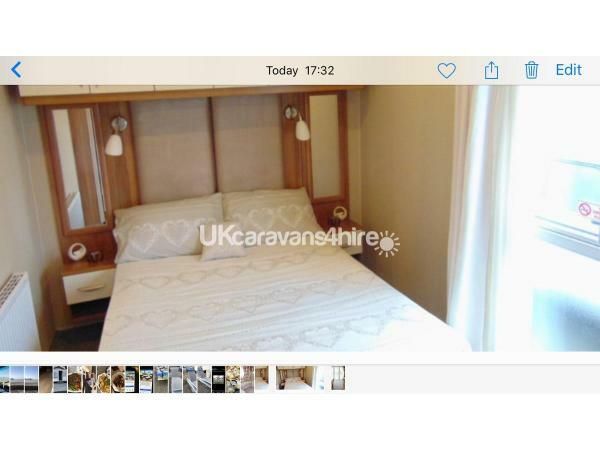 Throughout the caravan there is central heating and double glazing in every room. Pillows and duvets are provided however bed linen must be brought with you. An iron & ironing board have been provided for your use along with a hoover. A fully fitted ramtech alarm has been fitted along with a smoke alarm and a carbon monoxide alarm.£50 non refundable deposit required There is a £50 damage bond required upon booking which will be returned to you within 14 days of your holiday. Club passes are not included in the price, but must be purchased at reception on arrival as they are compulsory. If there are any other questions please contact us we look forward to hearing from you.